A leaflet from Johnny Healy Rae who is running as an Independent in South and West Kerry to retain his seat on Kerry County Council. 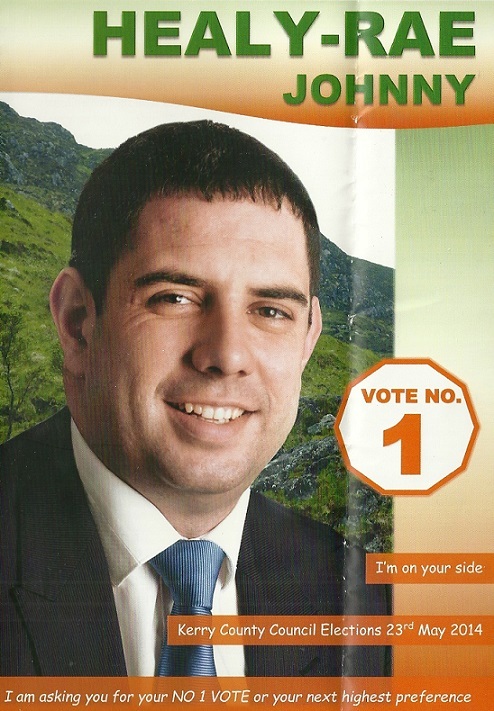 A canvass Card from Michael Cahill who is running as an Independent in South and West Kerry for a seat on Kerry County Council. 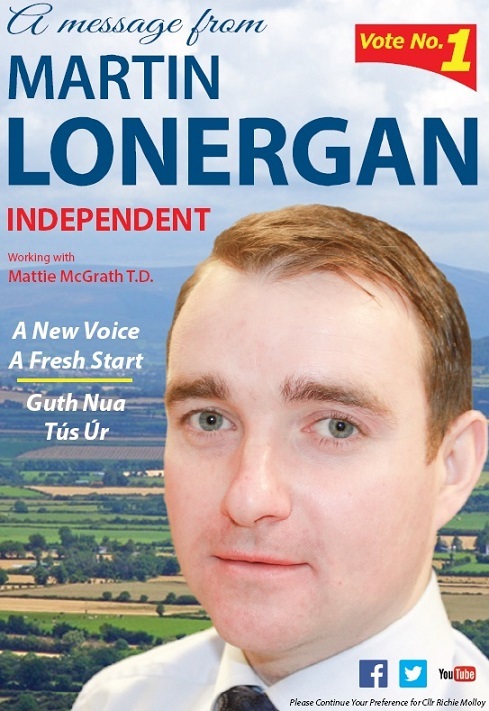 Formerly a Fianna Fail Councillor, he is a Parliamentary Assistant to Tom Fleming. Two ads from Lynda Horgan who is running in Killarney with the backing of Independent TD Tom Fleming. She is his Dail secretary. She also mentions her time working for the Fianna Fail national director of elections Michael Moynihan. A Flyer and Letter to voters from Kenmare based former Fianna Fail candidate Dan McCarthy who is running as an Independent in South and West Kerry for a seat on Kerry County Council.